It’s never too late to get that perfect gift—even if you have to get it for yourself. Shop the Apple Online Store or visit an Apple Retail Store. Escape with a good book on iPad. Drive to a secluded hideaway using GPS on your iPhone and a Magellan car kit. And with Bowers & Wilkins noise-isolating headphones, enjoy some alone time without ever leaving your living room. Choose from more than 300,000 games and apps on iPod touch. 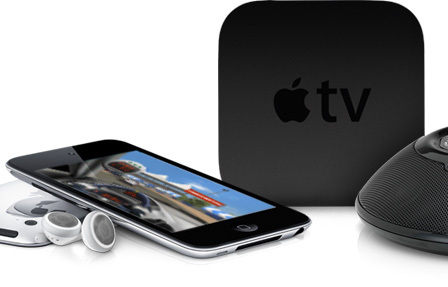 Catch up on your favorite TV shows with Apple TV. 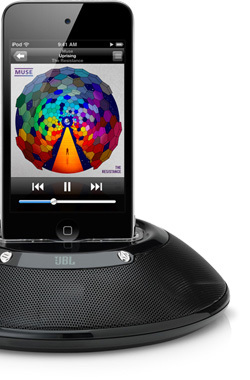 And make your iPod really sing with a JBL speaker system. Let your Mac travel in style in a Kenneth Cole bag. Pamper your iPhone with luxurious leather from Michael Kors. And fill your room with soothing tunes from a stylish Bowers & Wilkins speaker system. Available on all orders over $50 when you shop the Apple Online Store or call 1-800-MY-APPLE. Visit an Apple Retail Store. Our Specialists are here to help you choose the perfect Apple products and get the most from them. Stop by an Apple Retail Store. Redeem an Apple Gift Card. Shop for Apple products using your Apple Gift Card at the Apple Online Store or find an Apple Retail Store. The iTunes Store is available only to persons age 13 or older in the U.S. and many other countries; see www.apple.com/support/itunes/ww/ for a list of countries. Requires iTunes, compatible hardware and software, and Internet access, broadband recommended (fees may apply). See www.apple.com/itunes/whats-on/ for more information. Terms apply. Content sold separately. Available on iTunes and the iBookstore. Title availability is subject to change. TM and copyright © 2010 Apple Inc. 1 Infinite Loop, MS 96-DM, Cupertino, CA 95014.